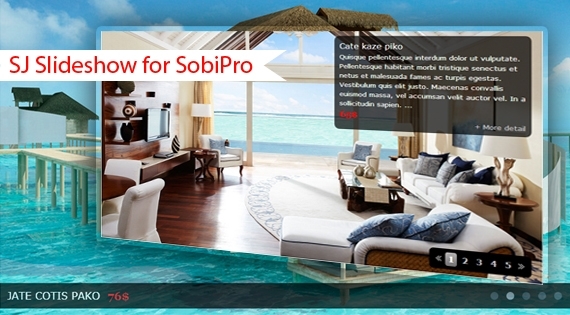 SJ Slideshow for SobiPro supports displaying SobiPro entries in a responsive slideshow. This module has 4 different themes to be chosen, of which we have different navigation buttons and controls. In addition to responsiveness, this module allows to configure speed and interval of sliding as well as 4 modes of re-sizing images. Using SJ Slideshow for SobiPro to build your directory Websites is great choice to utilize an amazing slideshow showing all necessary information at once. Beside large image, title and description for each entry; this module also shows custom information such as: Price, Read more link... for entries. There are also many other options for showing OR hiding title, description, links.. that can be tweaked inside admin panel.